Introduced with OS X Leopard, Time Machine is an Apple’s backup software application distributed with the Apple MacOS. This application is designed to work with the Time Capsule storage product and with other internal and external disk drives. 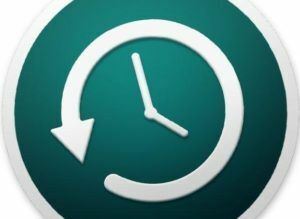 While working, Time Machine creates incremental backups of files that can be restored by users at a later date. When needed, users can restore the whole system or specific files saved by the software from the Recovery HD or the MacOS Install DVD. Time Machine works within iWork, iLife, and other compatible programs, making it possible to restore text files, photos, contacts and calendar events without leaving the application. Apple support explains that Time Machine is a backup utility, since it is not intended to be used as offline storage. Time Machine captures the most recent state of your data on your disk. As snapshots age, they are prioritized progressively lower compared to your more recent ones. For backups to a network drive, Time Machine allows the user to back up Apple Mac computers through Apple’s AirPort networking. The feature supports backing up to certain network attached storage devices or servers (the choice depends on the version of Time Machine, as earlier versions worked with a wide variety of NAS servers, however later versions of the application require the server to support a recent version of AFP (short for Apple’s Apple Filing Protocol). Besides Time Machine no longer works with servers using the SMB (short for Server Message Block) protocol which is typical for Windows servers. Some of the legacy support can be re-enabled by using hand-tuned configuration options, which can be accessed through the Terminal. Let’s say that Apple’s Time Capsule acts as a network storage device specifically for Time Machine backups, allowing both wired and wireless backups to the Time Capsule’s internal hard drive. Time Machine may also alternatively be used with any external or internal volume. While working, Time Machine saves hourly backups for the past twenty-four hours, daily backups for the past month, as well as weekly backups for everything older than a month, up until the volume runs out of space and thus cannot be saved anymore. At that point, Time Machine starts to delete the oldest weekly backups. When retrieving a file Time Machine uses Apple’s Core Animation API. Upon its launch, Time Machine “floats” the active Finder or application window from the user’s desktop to a backdrop. At this moment it depicts the user’s blurred desktop wallpaper. Behind the current active window the stacked windows can be found, with each window representing a snapshot of how that folder or application looked on the given date and time in the past. If the user toggles through the previous snapshots, the stacked windows extend backwards, giving the impression of flying through a time tunnel. While paging through these “windows from the past,” the user can retrieve a previous version of the data or even of the previously deleted data. Time Machine works with locally connected storage disks. These disks must be formatted in the HFS+ volume format, as well as with remote storage media shared from other systems, including Time Capsule, via the network. When using remote storage, Time Machine uses sparse bundles. This acts as an isolation layer, which makes the storage neutral to the actual file system used by the network server. It also permits the replication of the backup from one storage medium to another. According to Wikipedia “Sparse bundles are mounted by MacOS, just like any other device that presents their content as a HFS+ formatted volume, and has a functionality that is similar to a local storage”. A hard drive or partition connected directly to the computer, either internally or by a bus like USB or FireWire, and formatted as journaled HFS+. A folder on a journaled HFS+ file system shared by another Mac on the same network, which runs OS Leopard or later. A drive shared by an Apple Time Capsule on the same network. A drive connected to an Apple AirPort Extreme 802.11ac model on the same network. (Note that earlier generations of the AirPort Extreme are not supported). Local network volumes connected using Apple Filing Protocol (AFP). Time Machine creates a folder on the designated Time Machine volume into which the application copies the directory tree of all locally attached disk drives, except for files and directories that the user has specified to omit, including the Time Machine volume itself. Every hour thereafter, it creates a new subordinate folder and copies only files that have changed since the last backup. It creates hard links to files that already exist on the backup drive. A user can browse the directory hierarchy of these copies as if browsing the primary disk. Some other backup utilities save deltas for file changes, much like version control systems. Such an approach permits more frequent backups of minor changes, but can often complicate the interaction with the backup volume. By contrast, it is possible to manually browse a Time Machine backup volume without using the Time Machine interface; the use of hard links presents each backup to the user as a complete disk copy. Time Machine appears to create multiple hard links to unmodified directories. Apple system events record when each directory is modified on the hard drive. This means that instead of examining every file’s modification date when it is activated, Time Machine only needs to scan the directories that changed for files to copy (the remainder being hard-linked). This differs from the approach taken by similar backup utilities rsync and FlyBack, which examine modification dates of all files during backup. OS X Mountain Lion introduced the ability to use multiple volumes simultaneously for Time Machine operations. When the user specifies more than one volume to use, MacOS rotates among the desired volumes each time it does a backup. Keep in mind that coding differences between OS X Mountain Lion and Mavericks have resulted in compatibility issues related to Time Machine‘s system restoration functionality. As a result, Time Machine backups created by Apple computers purchased as recently as late 2012 cannot be used for system restoration on 2013 or 2014 models. However, the data from the backup can still be recovered by directly accessing the files from the Time Machine ‘s Volume. Make sure everything is backed up: Even if you are using Time Machine to back up your old device onto an external hard disk drive, we recommend going through all directories to make sure that everything has either been migrated to your new computer or is available from a backup. De-authorize iTunes: If you have more than one computer, you might want to de-authorize iTunes on the device that you are about to get rid of. This makes sure that you do not accidentally bump up against the limit of five computers that can play your iTunes Store purchases. Erase your hard drive: The best way to erase your hard drive is to boot from a Mac OS X installer disk if you have one. To do this go to the Utilities menus when the installer comes up. Select Disk Utility. Select the drive. Click on the Erase tab. By doing this you make sure none of your personal information is retrievable. If you’re getting ready to sell your Mac, reload the OS at this point. However do not start going through the Setup Assistant. Instead, when you see the start-up screen, use Command-Q to quit the installer. Shut the computer down. The next time it is started up, the new owner will get to go through all of the joy of setting up his or her new Mac. Sell your old Mac to iGotOffer! We buy even broken gadgets! : Sell an old Mac online now!